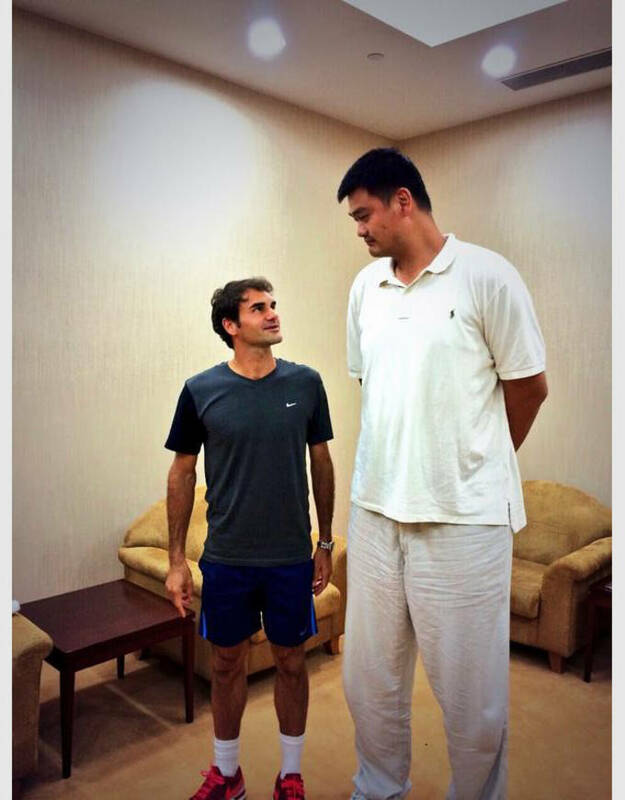 There&apos;s only one person who can make two of Tennis&apos; titans look like mere ants and that person is Yao Ming. The ATP tour rolled into Shanghai this week for the Shanghai Masters tournament and there to greet tennis&apos; elite was the former NBA All-Star and cultural icon. Judging by the pictures, you&apos;d never guess that the two shorter guys are the more decorated athletes but sometimes appearances can be deceiving. 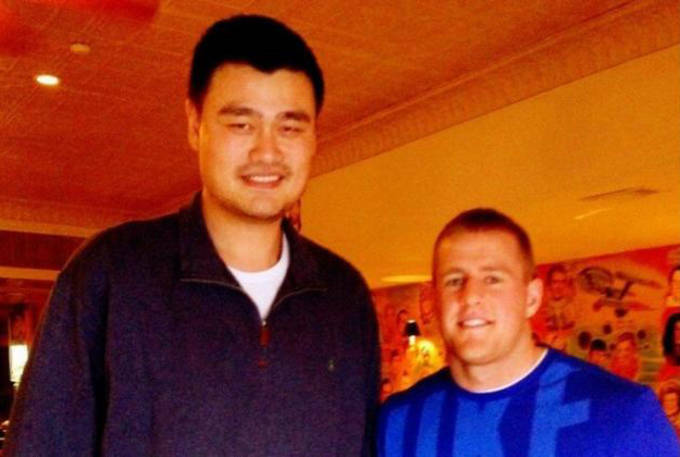 This isn&apos;t the first time that Yao has made some of the world&apos;s top athletes look like mere mortals in a picture, as Yao actually has a pretty in-depth history of towering over fellow athletes in photos. 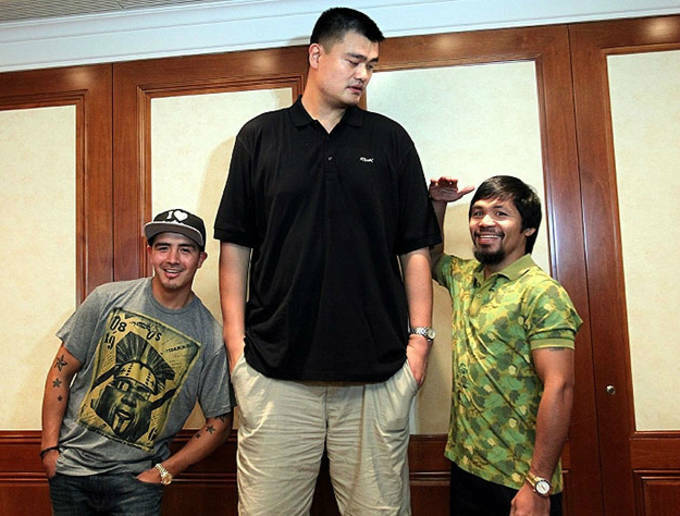 Check out some of our favorite pictures where of Yao Ming making other athletes short below. 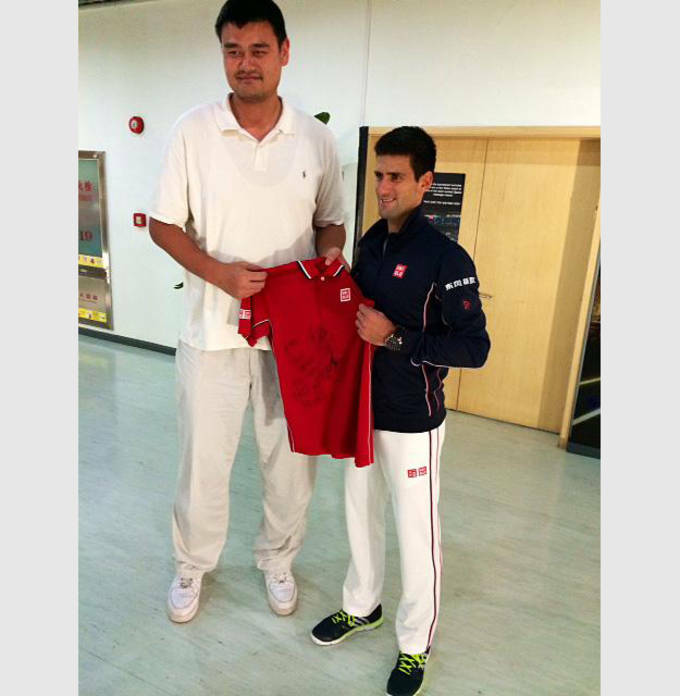 Maybe if Novak upgraded to the Barricade 8+, he&apos;d gain a few more inches on Yao. What more impressive: that Yao played against Michael Jordan or that Roger has a shoe with Michael Jordan? We thought the former NFL Defensive Player of the Year was a lot bigger. It&apos;s not often that the little guy would win in a fight. 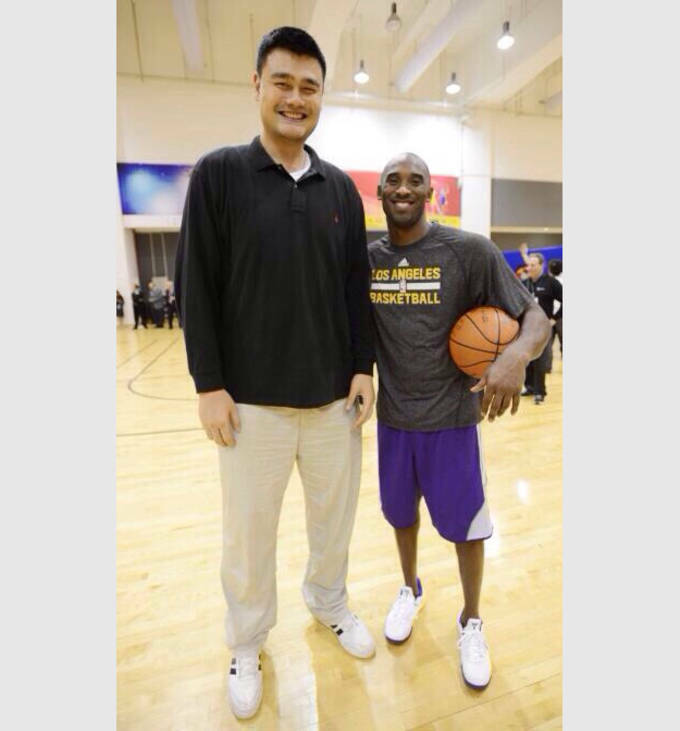 If you throw in Kobe&apos;s ego than they are probably around the same height.